Well, if you don’t already know, “Tasty Tidbits” are small commentaries that I make on life. All kinds of things bear and require being commented on, and I feel that this is where and how I can best add my contribution to that particular level of existence. Are you sitting uncomfortably? Then we shall begin. Welcome, the return of the Tasty Tidbits. Eat carefully, you never know what will want to eat back…. Elves are invading Alaska – quick, hide the coconuts. There is a sea of perfidy encompassing the shores of normality. We have become encrusted by the things that we take for granted, the everyday happenstance. We have become accustomed to things occurring “in the box” as it were. Structured, constrained, boiled down to something our brains can easily consume. As such, the souls of the living are unprepared for the next stage, the doom that is soon to arrive. Have no fear, doom is soon to be here. Live outside the box, or the box will consume you …. An empire takes much work to build. From the sweat of innocence to the mighty hewn angst of rage, pure and focused. Many ingredients go into this mix of integrity and depravity that we call the building of an empire. Fear, loathing, stress, joy, accomplishment. These are important steps that need to be wrung from the very fabric of existence in order to build, an empire. And my empire is building … we are accepting new members all the time. 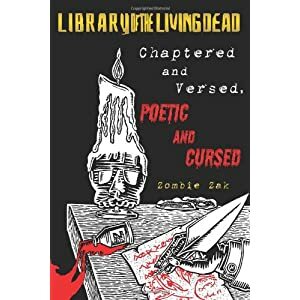 When you see a zombie, and the zombie sees you, do you ever wonder: “What is he/she thinking?” Do you think that it’s something complex or something derivative? Perhaps you think it’s just a mild sense of euphoria at a walking meal close by, or maybe just a irritating thorn in its minds eye. But, the truth is much easier to understand. When a zombie looks at you, and snarls and gnashes and starts that wind up to run or shamble at full tilt after you, he/she has but one thing on his mind …. Cookie! Life, it just wants to punch ya … in the gut. You gotta find out what it wants, ’cause it’s always looking for something; some little trick of the day. Maybe a little bit of sugar, or maybe a little bit of droll. No matter how you slice it, life wants a slice of you. You need to be aware of that, and either accept it, or punch it back in the snout. If not, you’d better look out. It’ll get you in the end, Life will, so you’d better fight back with something worth of the kill. Remember, have fun; everything else in Life is just filler!